I adore roasted chicken. It seems like a big deal, an entire chicken?? But I promise it’s not. 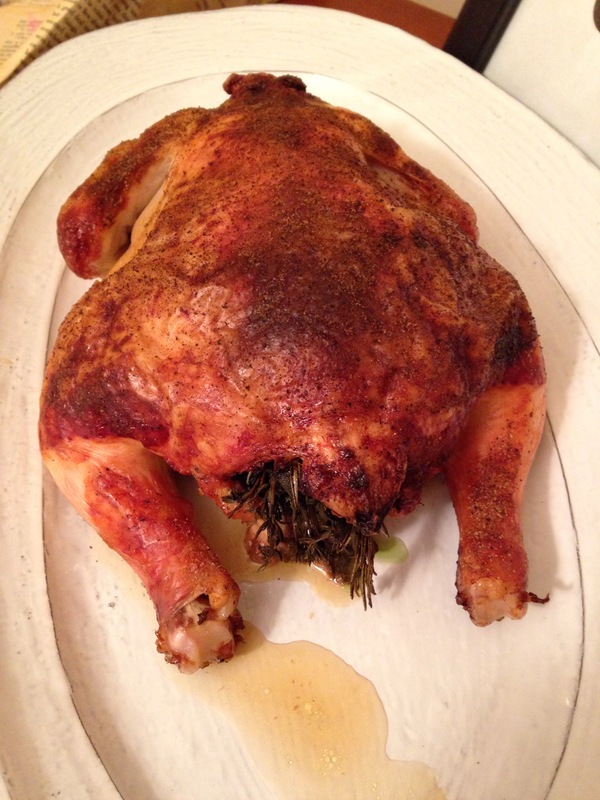 It’s actually really easy to get a deliciously roasted bird, and doesn’t take too long either! For this roasted chicken, I simply stuck an organic whole fryer in a pan, with black pepper on top and a bunch of herbs stuck inside. That’s literally all the prep you have to do. 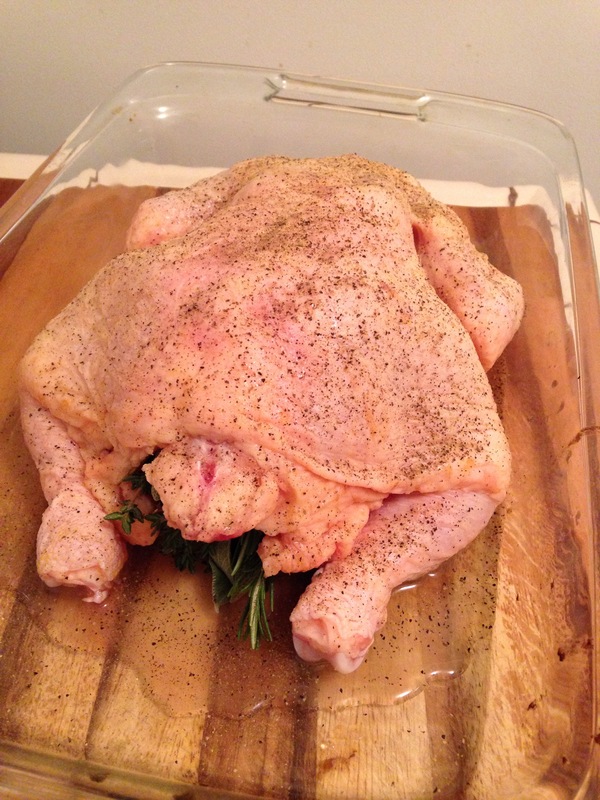 Then you stick it in the oven and wait…I like to baste my bird every 30 minutes with a half a cup of apple juice. This not only gives a nice brown quality to the top, but an amazing sweetness to the gravy. Oh yeah, we’re making gravy. 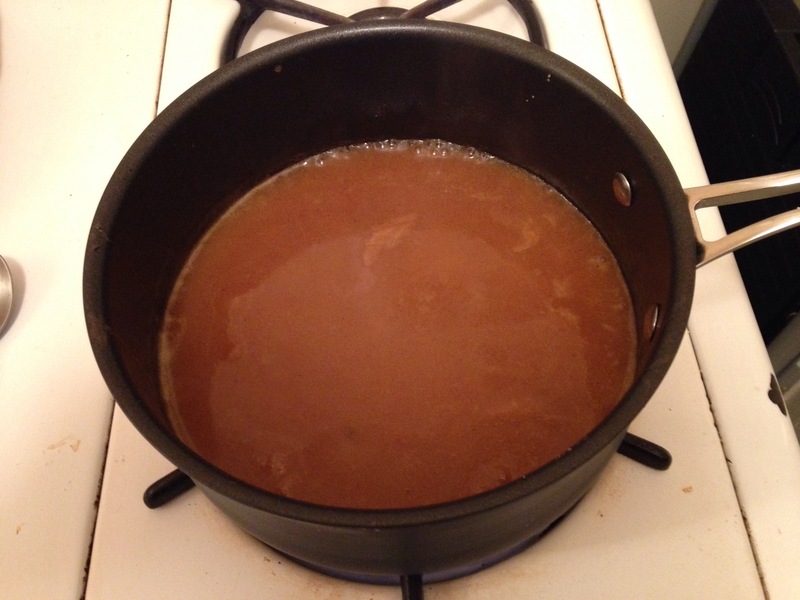 Once you’ve made gravy from scratch, you won’t go back to store bought. Like ever. Strain all the delicious browned drippings into a sauce pan. Add some chicken broth. Wisk in some flour/water mixture and toss in some salt. Is your mouth watering yet? Mine is. Let that thicken up and you’re on your way! Instead of making mashed potatoes and a veggie, I just roasted a whole pan of delicious things. Carrots, potato, brussel sprouts, mushrooms – basically anything you want to smother in gravy. Serve it up with a nice glass of red wine. You deserve it. Pre-heat oven to 350. In a large pan, put chicken breast side down, cover with black pepper, and stuff with herbs. Every half an hour, baste chicken with a half a cup of apple juice. Roast in the over for an 1-2 hours, depending on the size of the bird. Remove when thermometer reads it’s done. Remove cooked chicken onto a platter and set aside. Strain pan drippings into a sauce pan. Add chicken broth and bring to a boil. Strain and whisk in flour/water mixture to thicken. Add salt and papper to taste, then simmer gravy until the rest is ready. Place veggies on a greased cookie sheet and drizzle with olive oil, salt and pepper. Stick these in the over when the chicken has about 45 minutes left. When you pull out the chicken, bump oven heat up to 400 and finish off the veggies. They’re done when all veggies are tender, and a few are getting a slight char. 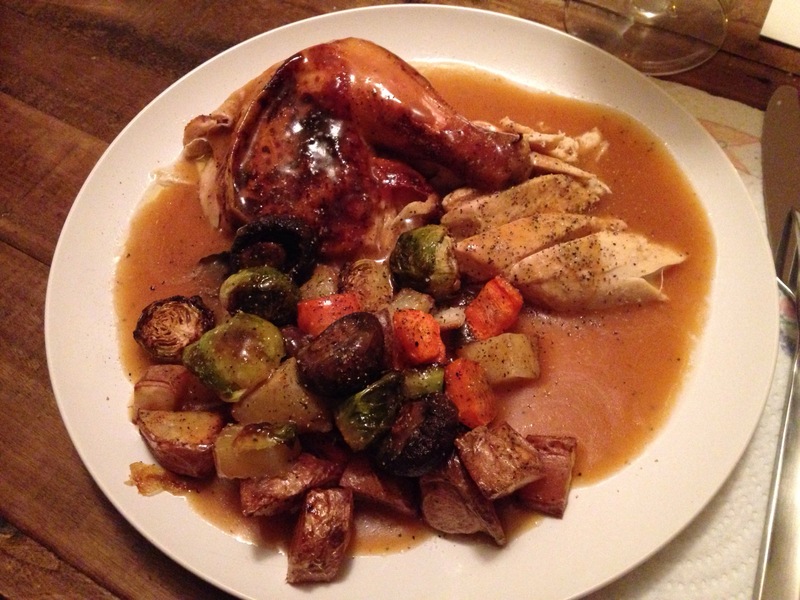 Carve chicken, add veggies, smother with gravy. Repeat until you’re full. Enjoy!